Camping de Saulieu si trova a Saulieu, Côte-d'Or. Questo campeggio dispone di piazzole delimitate, sia ombreggiate che, senza ombra e piazzole poco ombreggiate. È possibile affittare casemobili, chalet e bungalow. Il campeggio dispone di un parco giochi e di un campo sportivo. Ogni anno un ispettore visita il Camping de Saulieu, controllando oltre 200 tra attrezzature e altri punti di interesse del campeggio. L'ispettore è un dipendente ACSI e non lavora per il campeggio. This is a very pleasant site close to the town where there are one or two good restaurants. Most of the pitches are a generous size and have plenty of shade. The washrooms are clean although not as up to date as some sites we have stayed at. The couple who run the site are very friendly, helpful and speak good English. The location is good for visiting nearby lakes particularly Settons which offers good swimming and walking. A must is to visit Alesia where Ceasar battled the Gauls and what is said is where France was established. We stayed in the first week of June and the site was quite empty. Good wifi all round. We stayed for 16 nights and had a wonderful time. The pitch was very large and had electrical hook up. We used both pools several times a day and ate at the snack a couple of times. Limited menu but just perfect for our needs. The pizza truck on Wednesdays and Saturdays is excellent. The toilet block is good and clean. Lots of room to play for the children. We would thoroughly recommend to everyone. Volete prenotare il campeggio Camping de Saulieu o oppure saperne di più? Potete farlo usando i seguenti dati oppure tramite il sito del campeggio. Il camping è presso l'uscita nord della località, sulla N6. 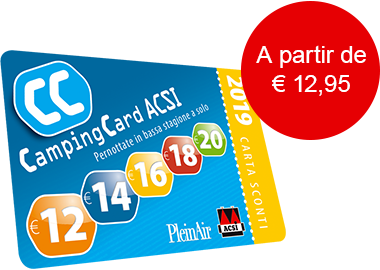 ACSI Eurocampings invia la tua richiesta di informazioni al "Camping de Saulieu".